Nintendo Europe have announced that starting today and running until March 10th 23:59, They are hosting a promotion of Double My Nintendo Gold Points on select Super Mario titles on Nintendo Switch. The MAR10 Day Promotion includes Super Mario Odyssey, Mario Kart 8 Deluxe, Mario Tennis Aces among other Mario games on the console. My Nintendo also have some special MAR10 Day Wallpapers to download for 50 Platinum Points for both desktop and mobile devices. 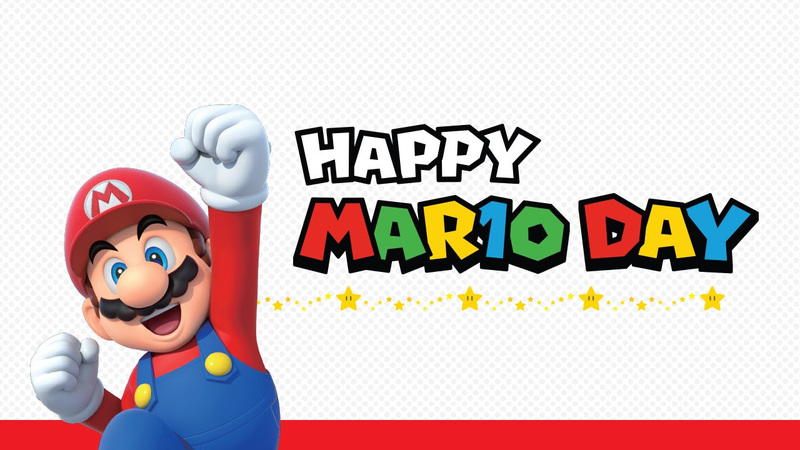 8th March, 2019 – March 10th marks a special day for Mario fans: it’s MAR10 Day! To celebrate Mario and his adventures, fans across Europe will be able to benefit from a special Gold Points promotion and receive a My Nintendo reward starting today. There’s no adventure too big or small for Mario, and My Nintendo users can celebrate their favourite red-capped hero by spending 50 Platinum Points to receive an exclusive “Happy MAR10 DAY” digital wallpaper. In addition, players will also be able to dive into some of Mario’s recent Nintendo Switch games. Until 10th March, 23:59 local time, purchasing any of the following titles on Nintendo eShop or via our website will grant players double Gold Points for their purchase. The bonus Gold Points will be granted within one week after the promotion ends on 10th March. Whether it’s a cap-tivating, globe-trotting journey in Super Mario Odyssey, side-scrolling sprees with friends and family in New Super Mario Bros. U Deluxe, the antic-filled racing thrills of Mario Kart 8 Deluxe, taking on multiplayer bashes in Super Mario Party or even facing the ace-driven competition in Mario Tennis Aces, each game offers some truly memorable Mario moments for everyone.